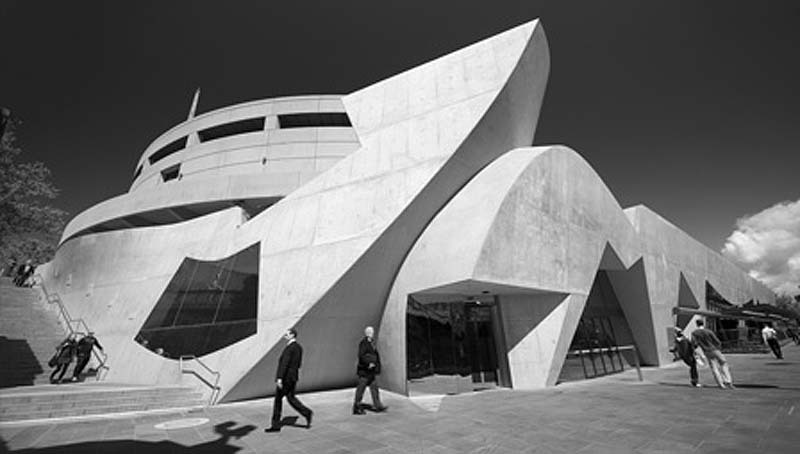 Many of ARM Architects‘ structures (previously here and here), have unconventional lines and a surreal quality, breaking beyond the boundaries of traditional architecture, and the recently completed Hamer Hall in Melbourne is no exception. 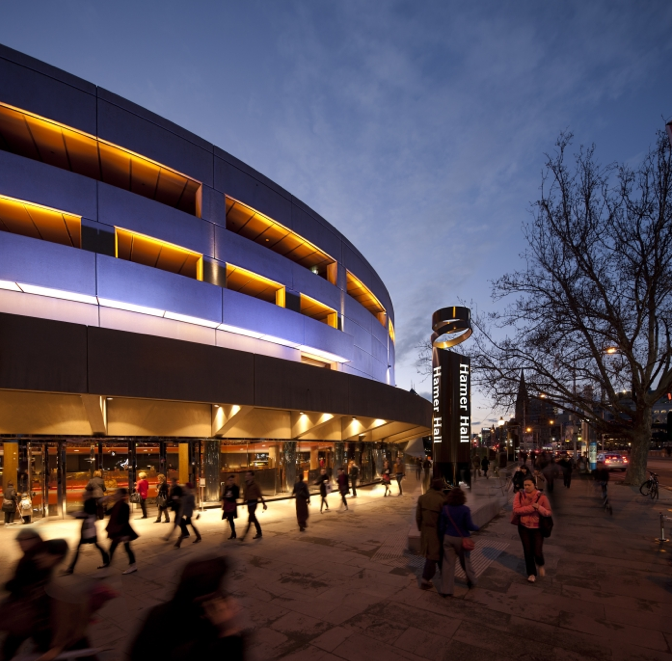 ARM designed the redevelopment of the concert hall integrating it with new public spaces and the riverfront. 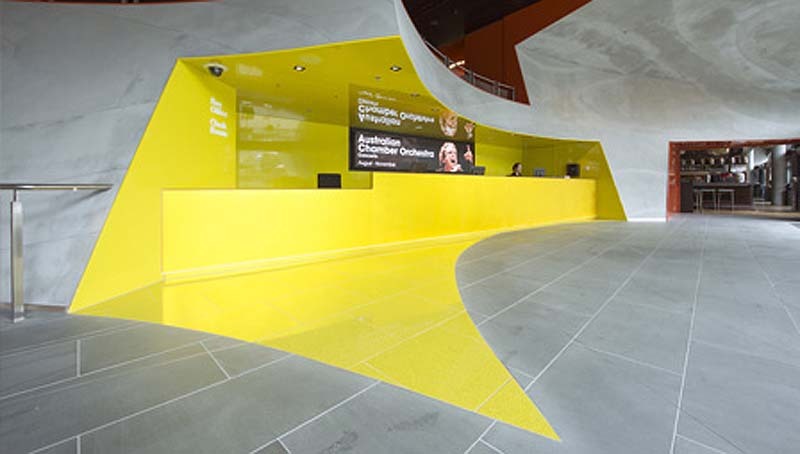 They retained some of John Turscott’s original interiors but there certainly is a spectacular use of concrete in the redesigned foyer and exterior as well as state of the art acoustics and contemporary theater technology in the main hall. All around, pretty stunning. I like your exterior shots. That Brise Soleil is quite beautiful too.